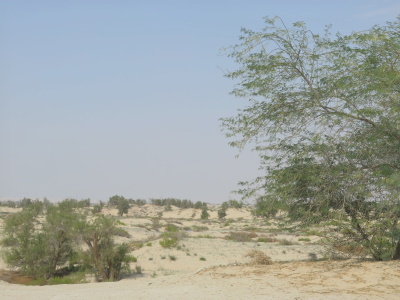 Al-Ahsa Oasis, an Evolving Cultural Landscape, is one of the largest natural agricultural palm oases in the world. Al-Ahsa has been inhabited since prehistoric times, due to its abundance of water in an otherwise arid region. This is a serial site of 12 locations. They comprise palm groves, castles, urban centers, archaeological sites, villages, Jawatha mosque and Al-Asfar Lake. This inscription made me lose faith in the inscription process and although I haven't been following it for a long time, I watched the debate live stream and it basically had ICOMOS strongly disagreeing to include it, saying there isn't anything special being here. Then, using its political buddies it overturned the recommendation to a direct inscription, not even deferring it to next year for a second look or whatnot. This farce just makes you wonder why they spent all the money on the expert going there in the first place because apparently whatever you want to inscribe is going in, and not so much if you are a weak political state. Shame on you. But okay so you got your inscription and you are very proud of it, no judgement from my part yet, let me go and check it out. After the long drive from Riyadh through trashed highways and a few pit stops to refuel and rest, and you get to the town of Al Ahsaa or actually a whole collection of “Al” towns merged together. There are a whole bunch of sites, some of them I don't even know where they are. I started with the Sahood Fort, mainly because the central highway was closed and this was first on the way. It's a very small block with thick replastered walls and a small entrance that probably says “no entry” because they are doing major renovation...AFTER the inscription?? Well so 5 minutes later I end up driving to the Khuzam Palace which was closed...next the Qaisariah Sooq, a traditional market. Still the best of the bunch of houses a few stalls but definitely not aimed at tourists. So the first hour here was disappointing but I thought leaving the national park, the meat of the inscription, for last would be the best way to get keep excitement going. Wrong. The park is aimed at kids. They do have gates for some security, more on that in a second, and entrance is free, but I am not taken by the trees here. Sure they are in a desert landscape and it has its history, but it's still so barren with some areas just a bunch of bushes along the sand dunes. In the area near town the trees give some nice shade for the kids playing on the slides. I saw more slides than kids! This is unfortunately the main attraction. Not wanting to be let down by this I thought why not drive on into the park along a single road and end up at the Jawatha Mosque (also part of the inscription). The road was dirt and sand but no problem for a 2WD. However, the scenery was uglier by the minute and eventually you end up outside the park. Still, how can they have all this trash everywhere, pipes making the park ugly, not be a problem for them? Was this cleaned up when ICOMOS came or did they not care? So I wish I could add something about the Jawatha Mosque but the road to it from the north side was abruptly blocked off with sand piles, the park's way of fencing off access without gates, and I had to double back all the way to the entrance (one could get try to get around with a 4WD but there is another fence and it may require some proper off-roading to get by). I cut my losses there and decided not to drive up to the mosque which could easily have been closed as well. 350km back to Riyadh to watch the Formula E race. Boo!